The GFx320 camera is independently certified as Intrinsically Safe and third-party approved for use in hazardous environments. It is capable of visualizing with sensitivity that complies with the U.S. EPA’s 0000a methane rule. Digital and automatic GPS tagging ensure results will meet reporting requirements without any extra equipment. Additional features include a tiltable viewfinder, articulating LCD screen, and a rotating handgrip. A camcorder-style construction permits the user to maintain three points of contact during operations. 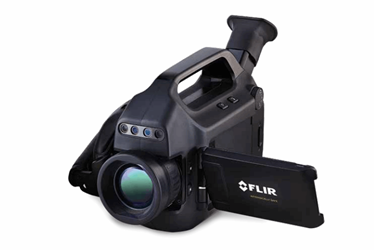 For additional information on the FLIR GFx320 infrared camera, download the available datasheet.